Xebec provides gas purification, generation and filtration solutions for the natural gas, field gas, biogas/renewable natural gas, helium, hydrogen, nitrogen and oxygen markets. Xebec designs, engineers and manufactures innovative products that transform raw gases into marketable sources of clean energy. Xebec's mission is to provide our customers with innovative solutions which transform raw gases into marketable sources of clean energy. Xebec designs and builds biogas upgrading plants for landfill gas, waste water treatment and anaerobic digester gas and manufacturers natural gas dryers for the natural gas vehicle (NGV) market. Xebec’s Vision : A WORLD POWERED BY CLEAN ENERGY. Quality Assurance is an integral part of Xebec’s management and manufacturing philosophy. Xebec holds many high level manufacturing certifications including: ISO (International Organization for Standardization) 9001:2008, ISO14001:2004, OHSAS (Occupational Health and Safety Assessment Series) 18001:2007, American Society of Mechanical Engineers. ASME, Canadian Standards Association for Canada - CSA, Canadian Standards Association for the United States CSAUS, Canadian Registration Number - CRN, NGV (Natural Gas Vehicle) America, NGV (Natural Gas Vehicle) Alliance. The company has implemented IMS (Integrated Management System) which incorporates all three ISO standards into a single system which complies with all internal and external laws and regulations. Xebec’s headquarters are located in a state-of-the-art manufacturing facility located in Blainville, Quebec, Canada. 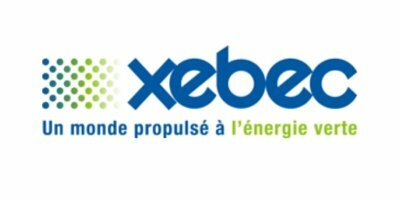 Xebec also operates a second manufacturing facility in Shanghai, Xebec has sales offices in Blainville Quebc, Vancouver, B.C. and Shanghai, China. The cost of drilling and hydraulic fracturing is hugely impacted by rising diesel costs. As the price of natural gas and natural gas liquids (HGLs) has dropped over the last 2 years, drilling operators are looking at ways to lower their operating costs. In most liquids rich shale gas plays the high heating values (HV) of the field gas, does not allow for immediate use as diesel displacement. Xebec's AGX line of Fast-Cycle Pressure-Swing Adsorption systems remove heavier hydrocarbon from field gas, lowering the HV and thereby making it useable on converted drilling rigs and for frack pumps. Up to 60% of diesel can be displaced by cheaper, cleaner field gas. The result is significantly lower operating costs, lower emissions, longer engine life and an overall positive environmental impact. To-date, electricity generation has been the most common option for energy recovery from biogas, accounting for over 60% of the operational landfill gas processing plants in the United States. However, the recovery of pipeline grade methane or compressed natural gas (CNG) from landfill gas is also viable using gas purification technology. Xebec’s methane purifiers are used around the world to upgrade biogas to renewable natural gas. For instance, the Xebec gas purification system at Cincinnati’s Rumpke Landfill, one of the largest landfills in the U.S., upgrades biogas from the landfill into pipeline-quality renewable natural gas. Xebec is the world leader in the drying of natural gas for vehicle refueling stations, with major installations around the globe. Xebec enjoys a 96% market share of the natural gas drying market, and has supplied major petrochemical companies including Exxon, Sunco, Sinopec, and Petro China. All Xebec dryers are ASME code compliant and National Board Certified, and can be built to specific requirements, such as the Chinese and Malaysian pressure vessel codes. Xebec’s stated business objective is to achieve sustained profitable growth through the creation of superior customer value. The values and beliefs we hold as a corporation guide the actions we take to achieve our business objectives. Achieving commercial success in ways that honor ethical values, respect people, communities, and the natural environment are essential to Xebec. A world powered by clean energy.